While both the Honor 7X and the Honor 9 Lite have been widely praised in the Indian media, Huawei seems to have been spooked by the launch of the Redmi Note 5 and Redmi Note 5 Pro, if some recent tweets targeting the two new devices are anything to go by. First spotted by YouTuber Dhananjay Bhosale (@Dhananjay_Tech), a number of tweets from different accounts are seemingly spreading negativity around the two new devices from Xiaomi, even though neither of the devices have become available for purchase yet. Tech blog OnPhones then dug up quite a few of those negative tweets, and as you can see from the composite screenshots posted by the site, they seem to have the exact text and hashtags, which include the subtle-as-a-sledgehammer #DontBuyXiaomi hashtag. In addition, the below video has been circulated as proof of Xiaomi’s bad customer service, even though it’s a rather old video from at least two years ago. 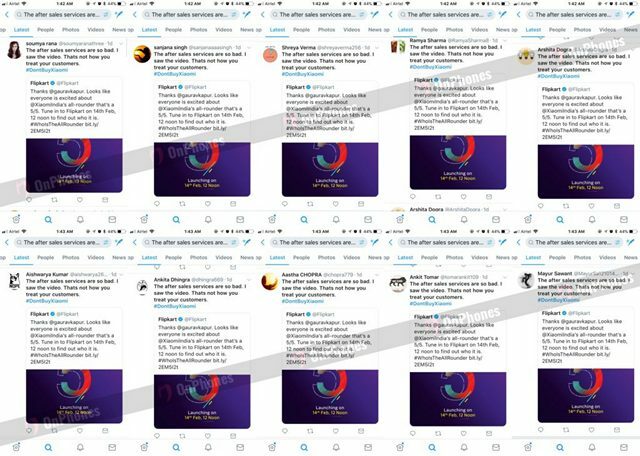 OnPhones even claims to have got their hands on the email which was sent by the social media agency to these so-called Twitter influencers to run the anti-Xiaomi campaign. This naturally leads to suspicions that Huawei’s sub-brand Honor is pulling strings through some agency to get this hashtag trending on Xiaomi’s big day. It’s not going to help the company’s image as it comes at the same time as the controversial move of luring its fans to post favorable comments about the Mate 10 Pro in the US, even before the devices went on sale there. It’s easy to see a pattern here, which leads many to believe that there may be link between Honor and the torrent of negative anti-Xiaomi tweets. The modus operandi seems incredibly similar – post ‘opinions’ about a device without even using it, so as to influence people into buying a particular brand ahead of another. We have reached out to Huawei and Honor India for a comment on the matter and we will be updating this story with the response.